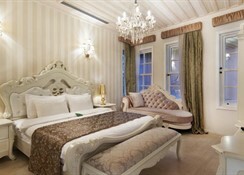 Featuring palace-like interiors, the rooms of Elegance East are decorated with luxurious furniture. They all include a flat-screen TV with satellite channels, and a minibar. 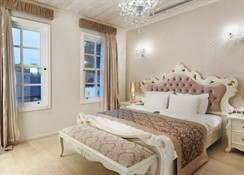 Each room offers garden or pool views.The main restaurant serves breakfast and dinner as an open buffet. 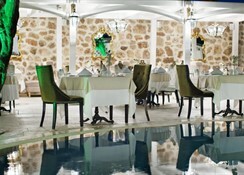 The à la carte restaurant offers snacks for lunch, and Turkish and international dishes for dinner. There is also a patisserie on site with a variety of desserts. The hotel is a 10-minute walk from Mermerli Public Beach and a 15-minute drive from Konyaalti Beach. The Hadrian's Gate and nearby shopping centres are within walking distance. 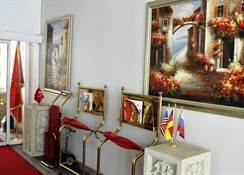 Antalya Airport is 15 km from Elegance East Hotel.